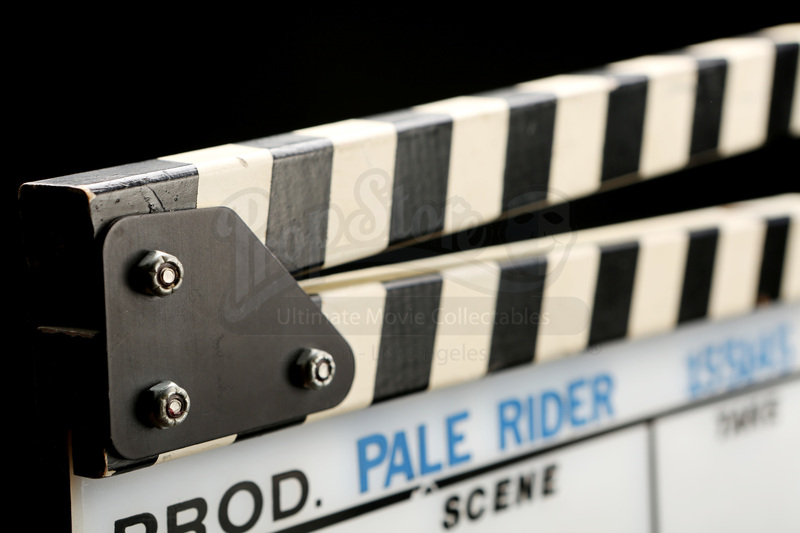 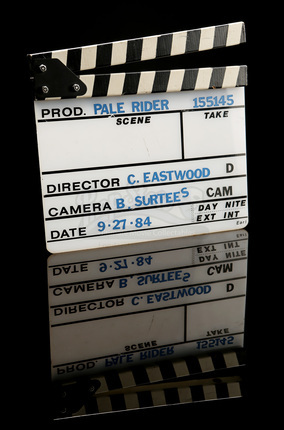 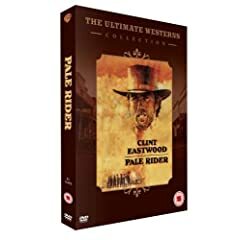 A clapperboard from Clint Eastwood's western Pale Rider. 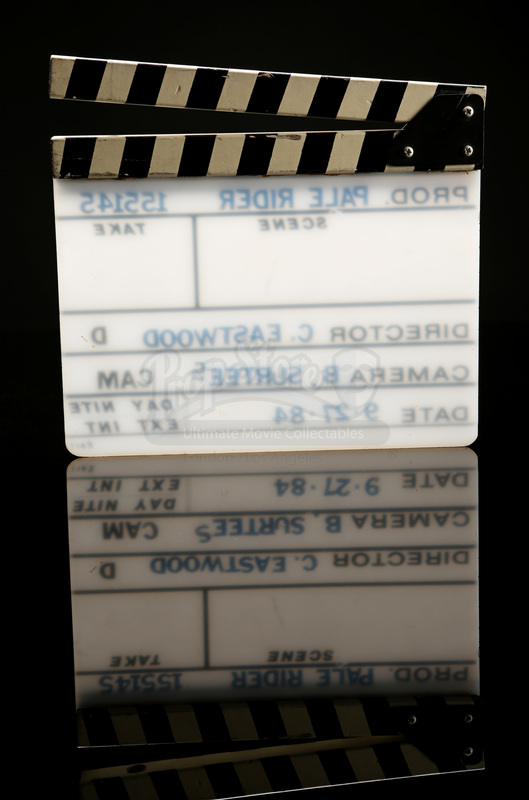 This clapperboard consists of an acrylic slate with a wood clapper mounted on top with metal hardware. 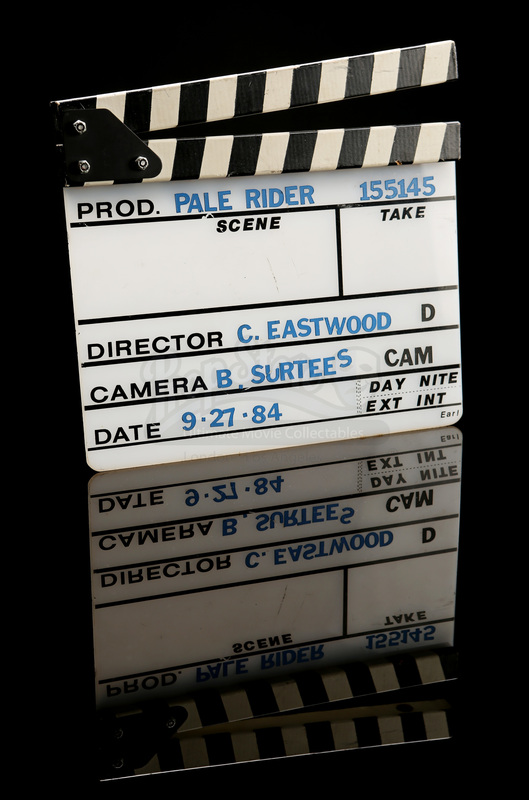 The acrylic slate is painted with black outlined boxes to divide the slate into fields for production, scene, take, director, camera and date. 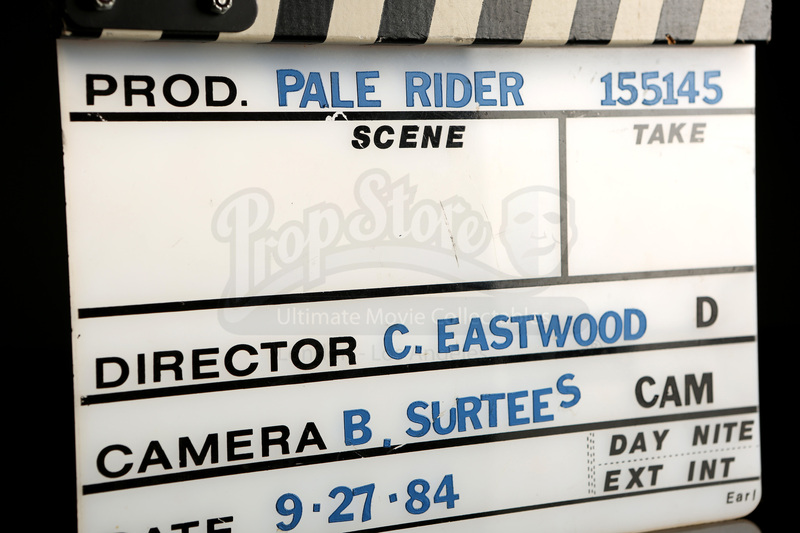 The clapperboard has blue stenciled lettering noting the production as 'PALERIDER', the director as 'C. 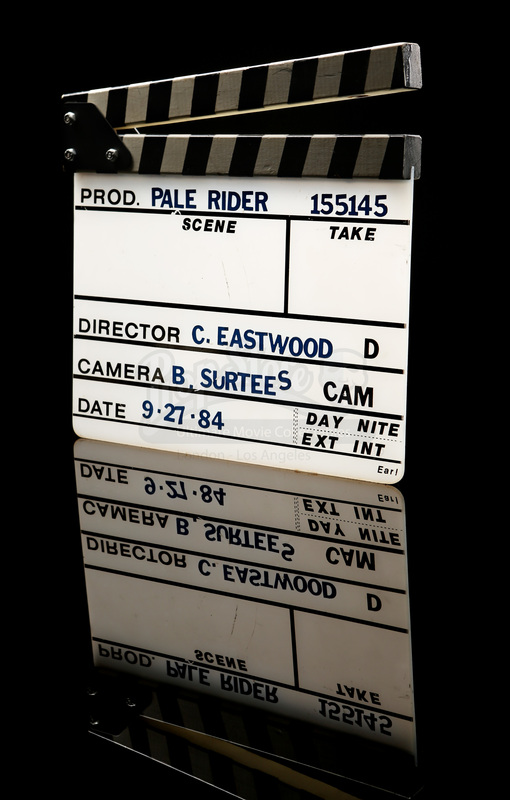 Eastwood', camera as 'B. 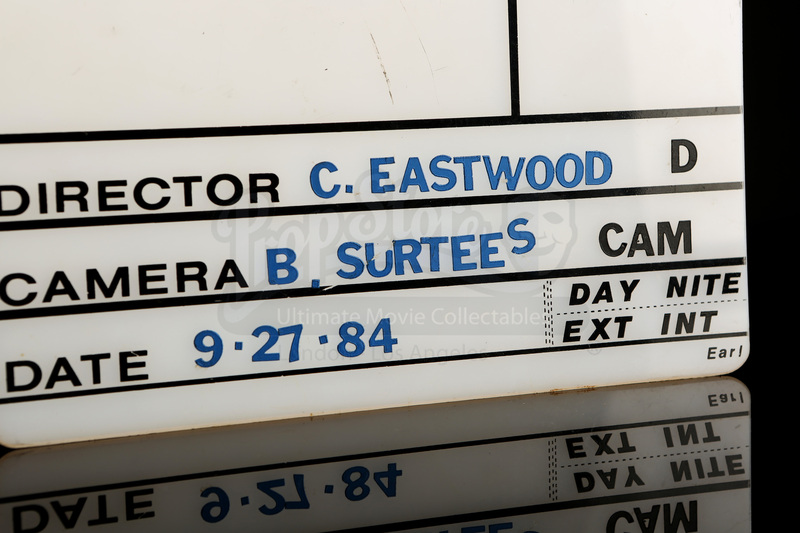 Surtees', and the date‘27-9-84'. 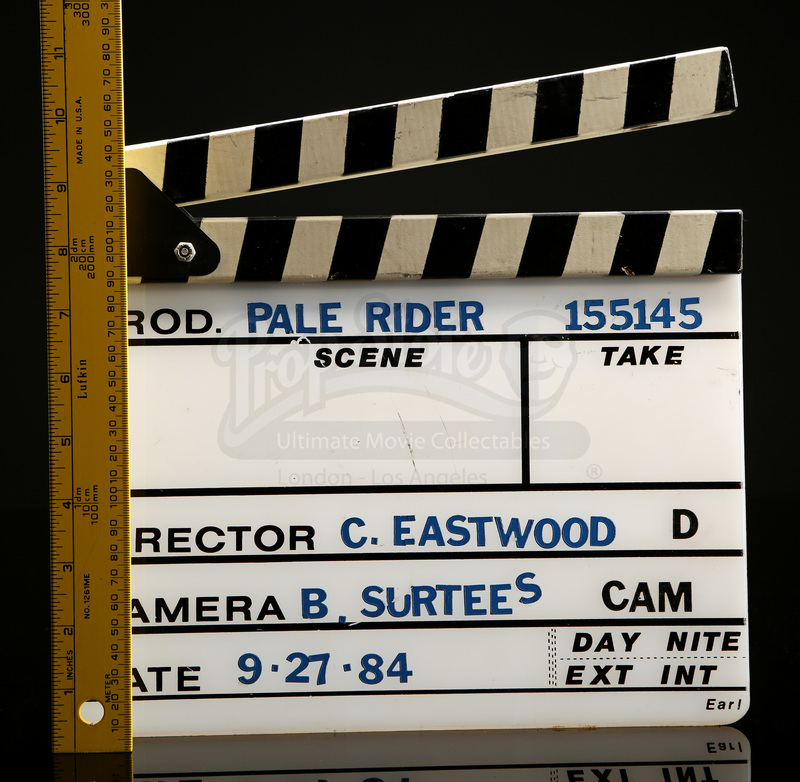 This item shows minor wear due to production use, with slight scuffs to the paint and wood, however the piece remains in very fine condition.